Describes a variety of plants with unusual characteristics including those that give off light and those that eat insects. About HEDDA NUSSBAUM (Author) : HEDDA NUSSBAUM is a published author. 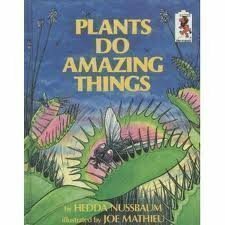 A published credit of HEDDA NUSSBAUM is Plants Do Amazing Things.